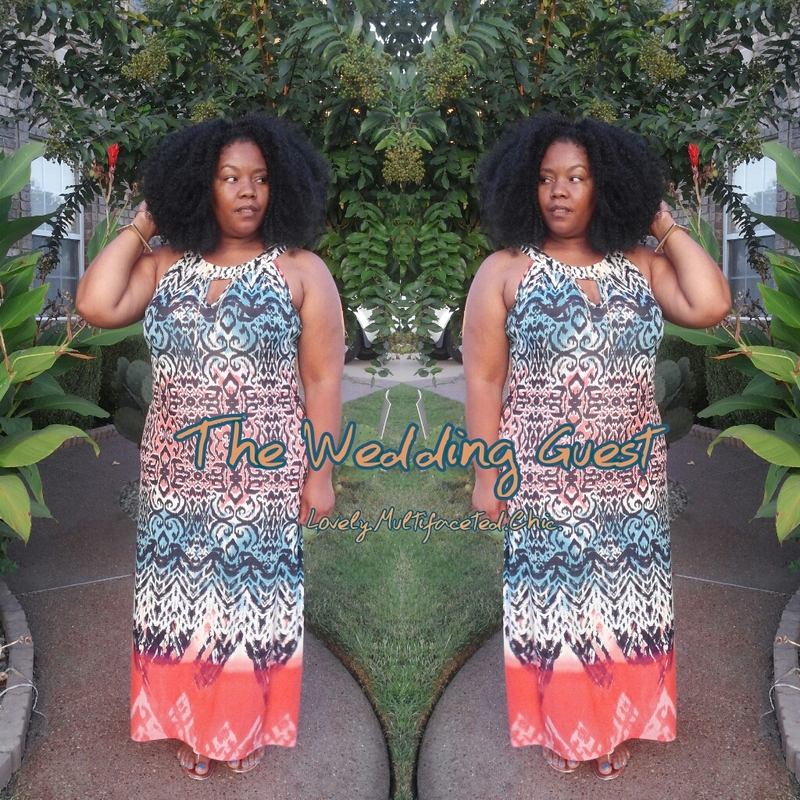 The Wedding Guest – Lovely.Multifaceted.Chic. I had to share my outfit I wore to a wedding this past Saturday! Initially, I was going to dress more formal but, I decided to do something different. I wore a maxi dress. I got it from Rainbow. I wore gold sandals and gold bracelets to match the gold chain on the neck of the dress. I borrowed my sister’s Jessica Simpson handbag. I got a lot of compliments on my outfit. I love that I looked great without being uncomfortable. Thanks for reading and I’ll talk to you soon!